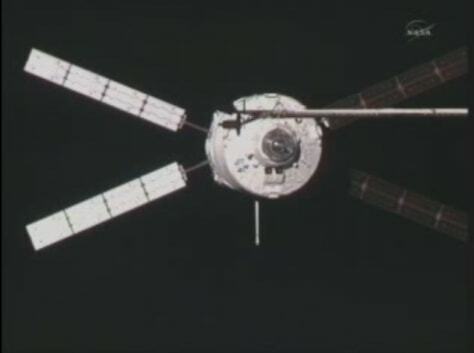 The ESA's ATV-2 Johannes Kepler is shown docking at the International Space Station on Feb. 24. It delivered 7 tons of cargo, including experiments, fuel, water, food and other supplies. Now it is packed with trash and unneeded cargo that will be intentionally destroyed along with the vehicle when it re-enters Earth's atmosphere.